Animal rights activists around the world have reason to celebrate as Hawaii will become the first U.S. state to ban the use wild animals for entertainment purposes. The state will now prohibit the import of exotic wild animals, those that are to be used for exhibition or performance. ‘Tyke Elephant Outlaw’, a 1994 documentary about a circus elephant that had escaped and was then shot down by police, is reportedly an influence for the new rules. Animals the state will ban the use of includes, big cats, elephants, bears, and other exotic wild animals. The new rule will allow the exception of government zoos and commercial filming for movies or television. Hawaii’s senior state director for the Humane Society, Inga Gibson stated, “We’re hoping of course that Hawaii will set an example for other states to take the next step.” She also said that the rules may go into effect early 2016. There are 50 municipalities within 22 states that have a partial or full ban on ‘entertainment’ animals. Other countries have implemented the same as it seems the world is beginning to wake up to the cruelty that is cages. 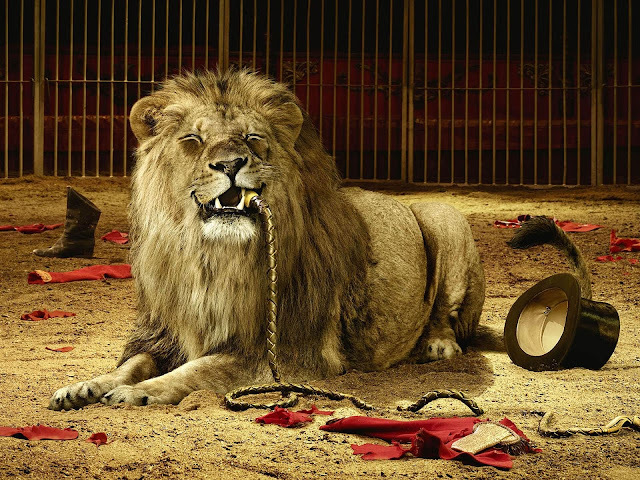 Though there are circuses and zoos that do treat the animals well, being locked in captivity for entertainment purposes only is a form of cruelty. What would we as humans do if we were locked away every day while animals walked by and watched us. The artificial environments that we cage animals in are not fit for any life and the fact that we do this for entertainment is just cruel. The actions of Hawaii bring hope for animals across the world as we start to see more and more nations move towards animal rights. Our future generations will look back at history and see the positive changes we made for not only animals but for all life. We may even live in a world where animals and humans life side by side.